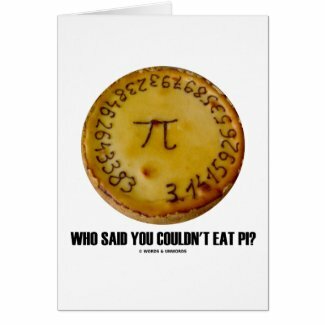 Celebrate this March 14th with a dose of mathematical geek style. 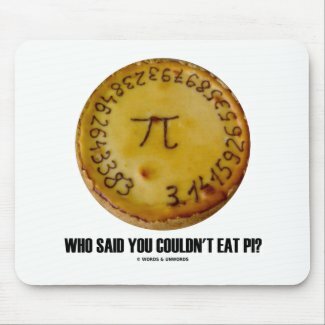 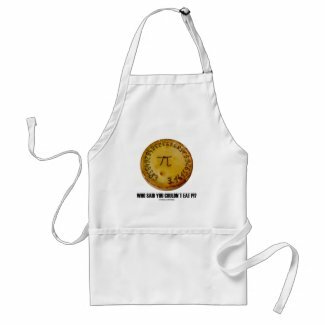 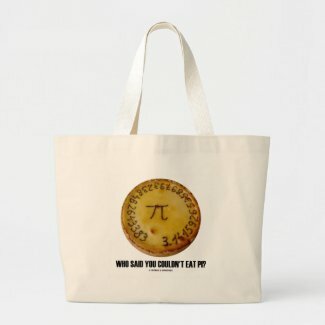 Pi humor is alive and well on any of these gifts featuring pi on a pie along with the following rhetorical question that will make all pi fans do a double-take: "Who Said You Couldn't Eat Pi?" 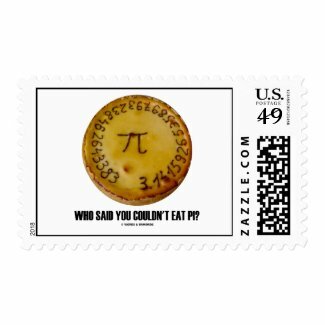 Design your own USPS custom stamps.